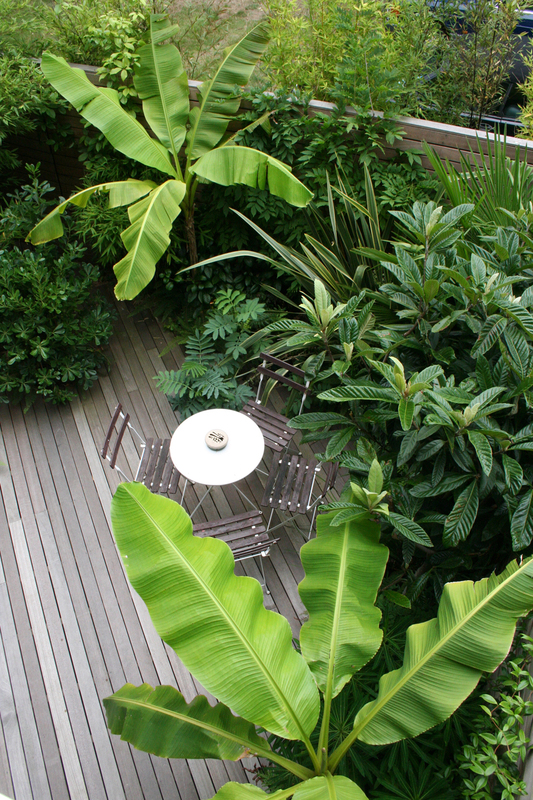 The design for a tiny riverside garden in Kew was inspired by the client’s home in the Far East. 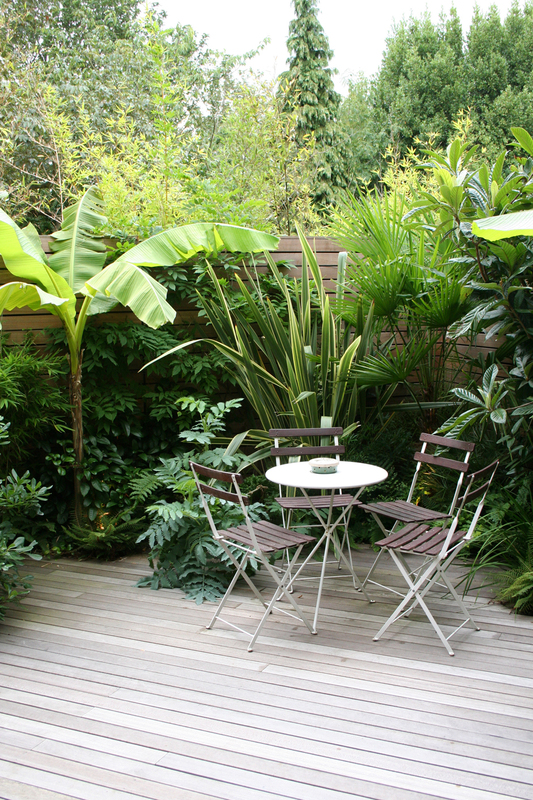 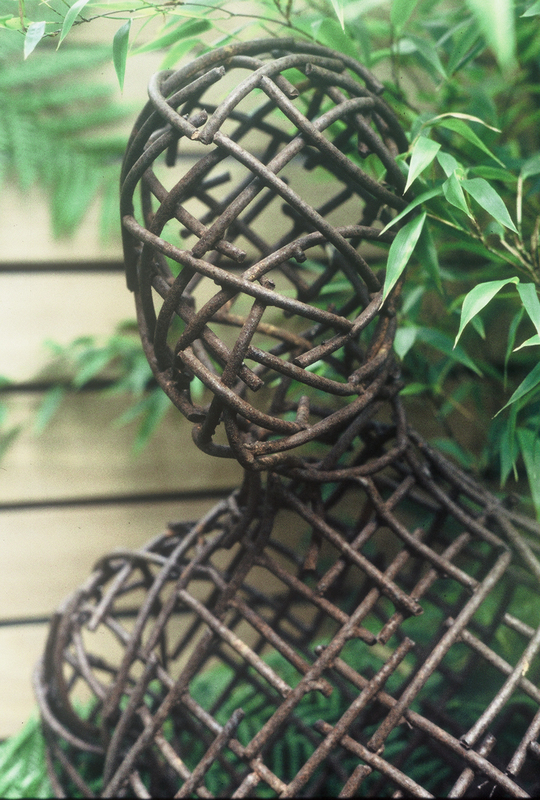 Sensual sculpture intermingles with exotic planting to create an intimate outdoor room. 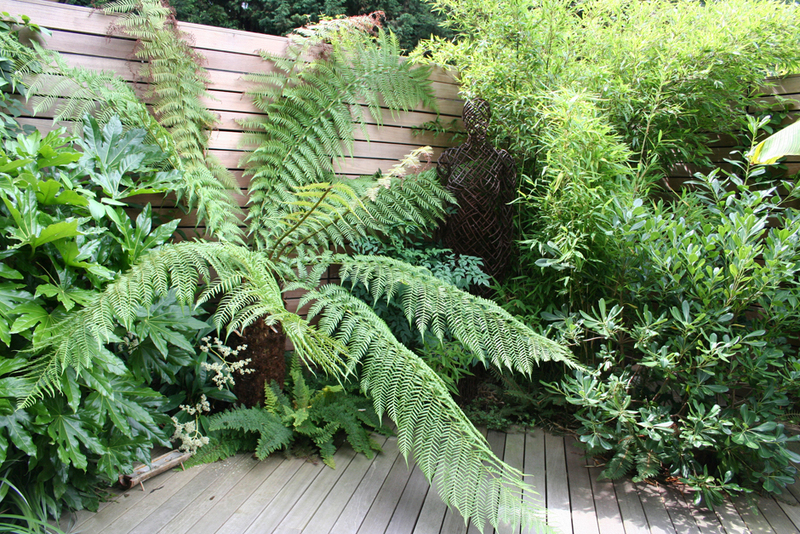 A contemporary, wooden fence encloses the garden and features a cleverly concealed gate. 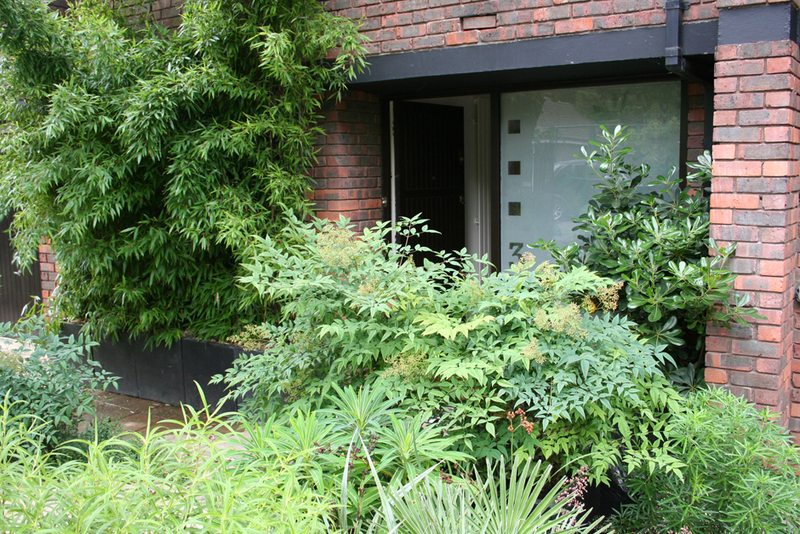 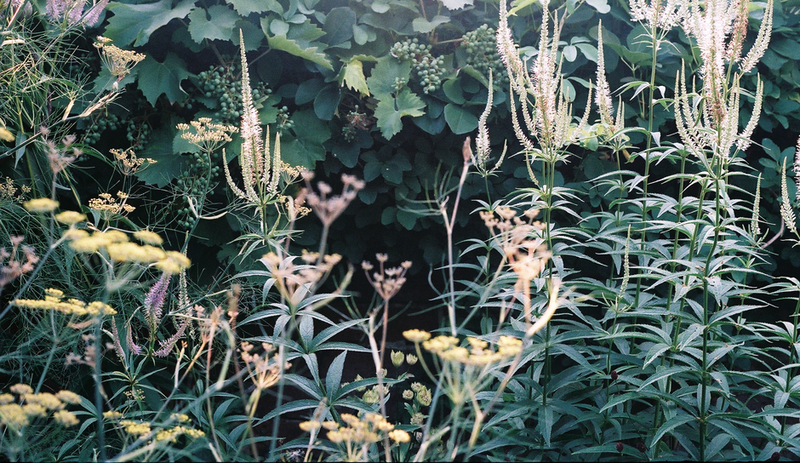 A bleak driveway was transformed into a lush front garden. 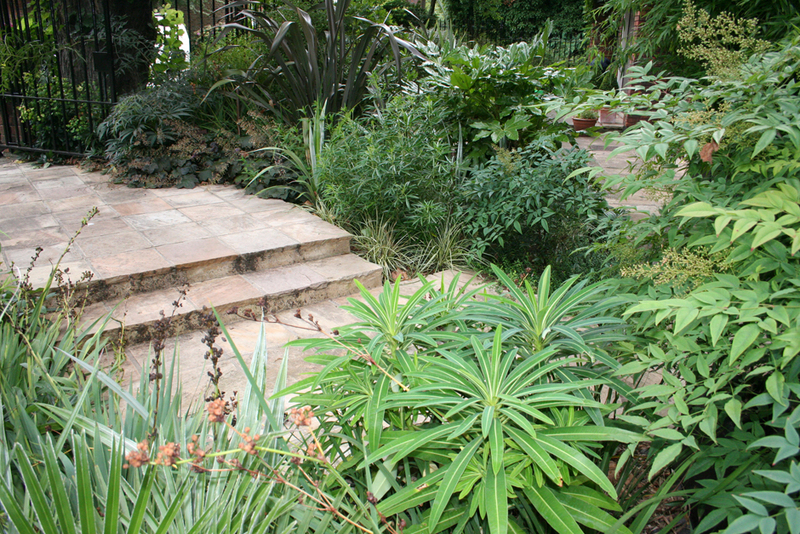 Generous steps set at an angle make the most of the planting on both sides.